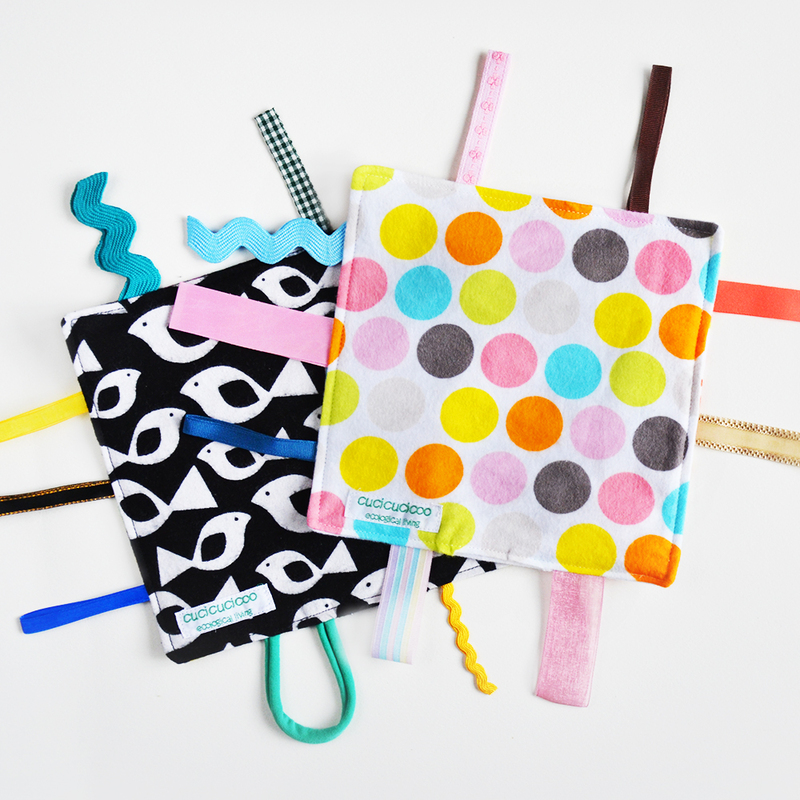 Well, it’s been a while since first announcing that I would open up an online PDF pattern shop (and started accepting pattern testers), and I’ve discovered that it takes a lot longer to draft, write, illustrate, photograph, layout, send through testing, modify, translate, send through testing again and finalize a pattern than I’d expected. Phew! But it’s so thrilling to see your own design become a professional pattern with instructions, and even more so when you see the amazing results when others use it! 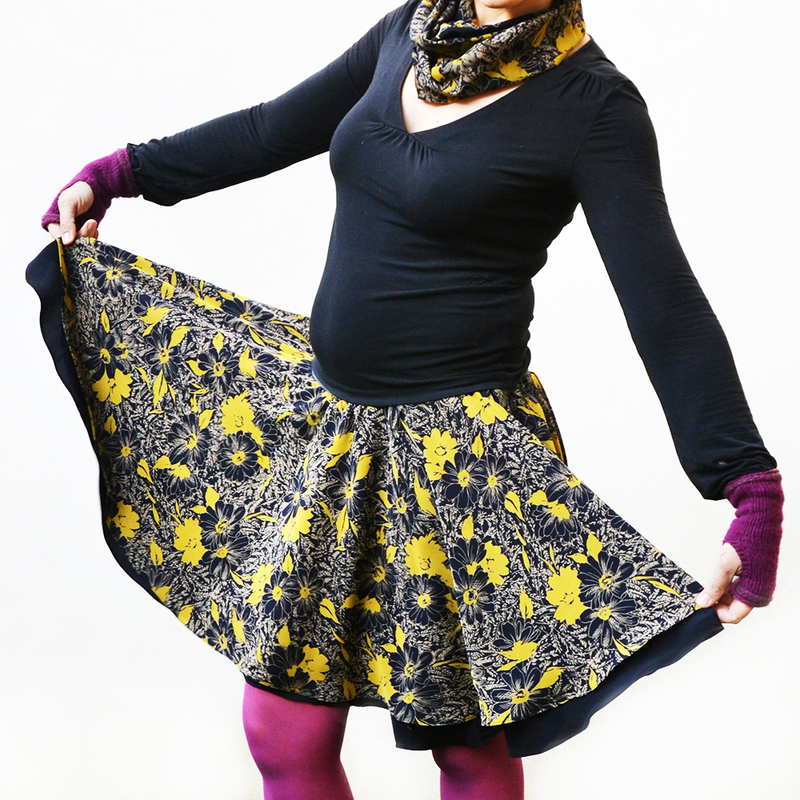 And with luck, the shop will be open with just a few patterns next week! Sewing patterns have until recently always been in the same format: big sheets of tissue paper in a paper envelope or a sewing magazine. And sewers have been pretty limited to the big pattern companies. 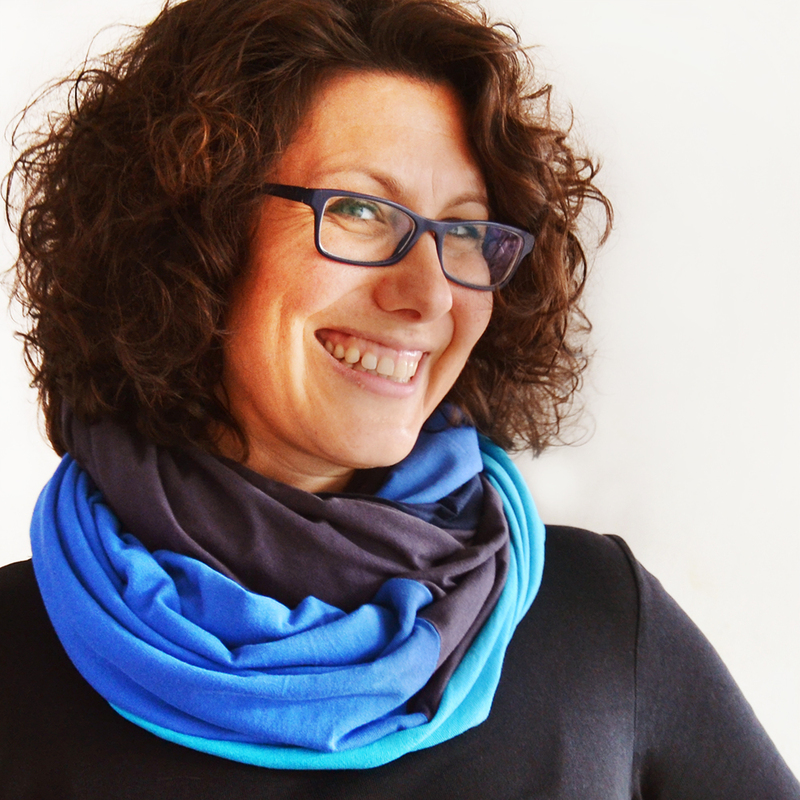 But when downloading files from the Internet started becoming widespread, it became much easier for indie designers to get their patterns and designs out in the world with PDF sewing patterns. And that means that there are now loads and loads of absolutely amazing patterns available online from designers all over the world. All you need to do is search the internet for the type of pattern you’re looking for, purchase it and download it immediately. Yes! That means instant gratification without having to pay and wait for shipping, so you can start work immediately! 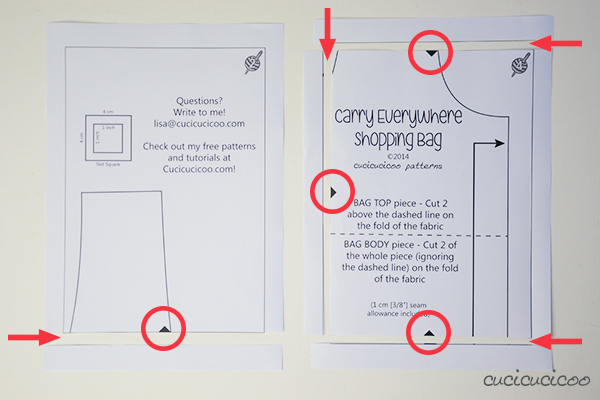 Other great things about using indie PDF patterns are that many of them include links to tutorials and/or videos that are helpful to understanding the instructions and they don’t have space restraints, so they can go more into details and offer more images to show the different steps. I hate overly-concise sewing instructions that leave you absolutely perplexed (like happened to me last year when sewing these flower girl dresses), so this is a huge pro in my opinion. And when all else fails, you always know who the designer is and can just send him or her an email to ask for help. And, to be perfectly honest, I much prefer supporting small designers than big companies. Obviously it’s not possible to send huge sheets of tissue paper over the Internet (but who knows, maybe someday even that’ll happen! 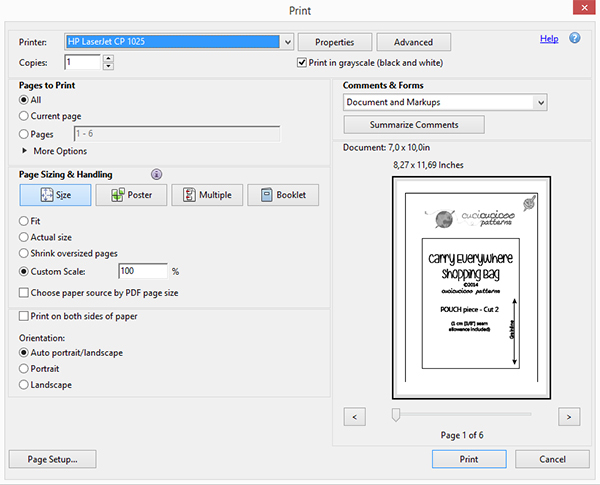 ), so what you receive is one or more PDF files with multiple pages. Some patterns have both the pattern pieces and instructions in the same file, while others split them into more than one file to make them more manageable. But once you have downloaded your PDF pattern, how do you use it? 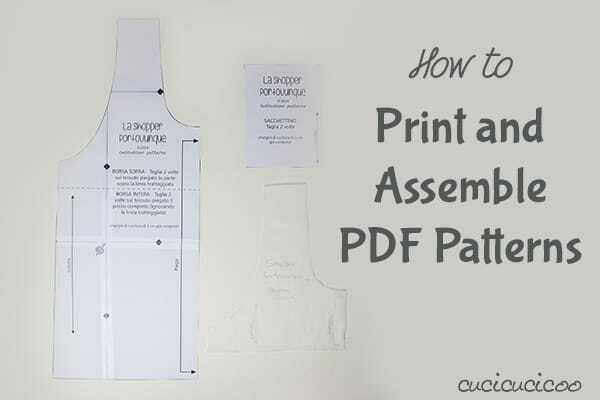 Well, well, let me tell you a little about how to print PDF patterns and then assemble them! First off, if you don’t have it already, make sure that you download Acrobat Reader. This is a free software from Adobe that makes it possible to read PDF (Portable Document Format) files on your computer and is something that every computer should have. One insanely important thing to do before anything else is to READ THE INSTRUCTIONS of the pattern! Every pattern is different and may need certain parts printed out more than once, or even not at all depending on size or variation. 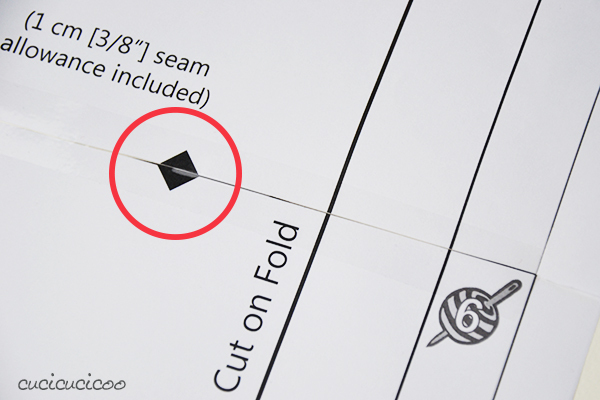 I suggest not printing the actual instructions, but reading them from your computer or tablet screen, and printing only the pattern pages that you actually need (which you will know from reading the instructions). The other insanely important thing to do is to print WITHOUT SCALING! 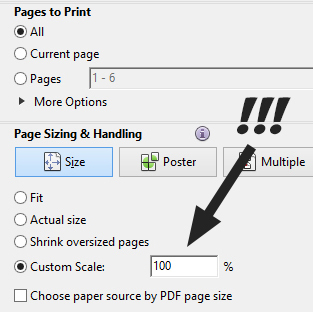 In other words, don’t resize the pages, but print them at 100%. 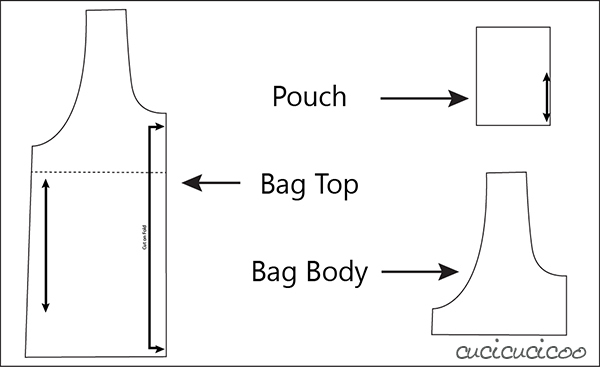 If you don’t, your pattern pieces will be either too big or too small, and therefore your finished sewn piece will have incorrect dimensions. The above image is how I generally print my patterns. You might not want to print in grayscale if there are colored parts, but this depends on the actual pattern. 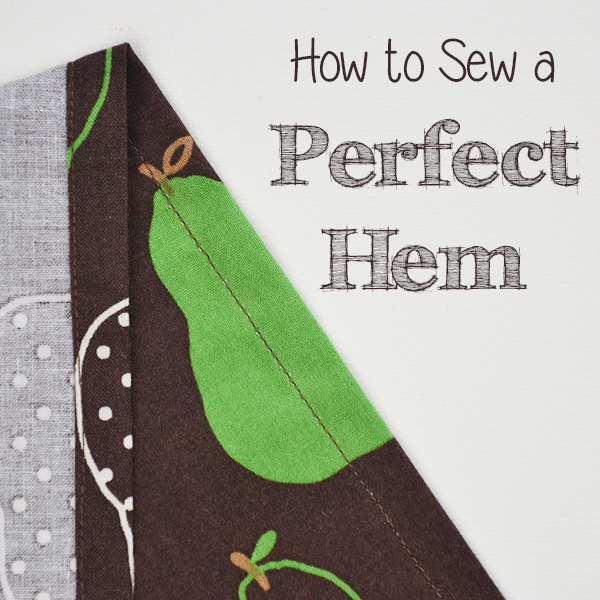 If you’re sewing something small enough that the pattern pieces can fit onto a single page, it’s super easy to prepare your pattern. 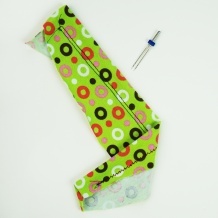 This was the case for my easy potholder pattern, which was a practice tutorial for my turning and topstitching lesson. Now look in the bottom left corner of the first page. See those two squares there? 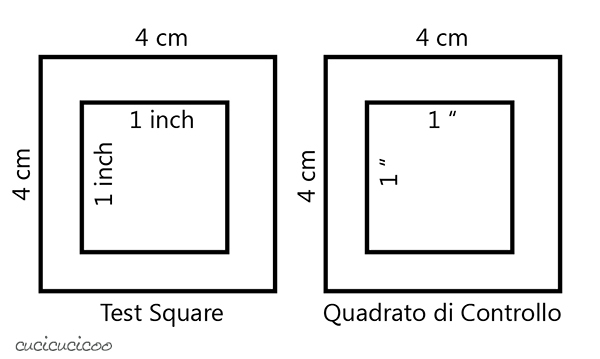 That’s the test square. 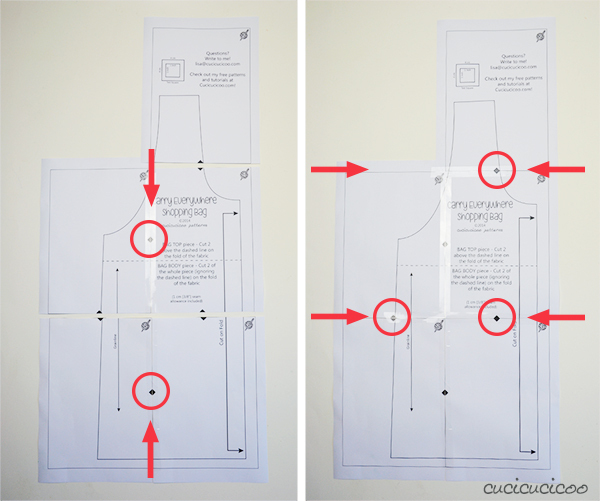 This is important for checking that you have indeed printed the pattern at the right size. 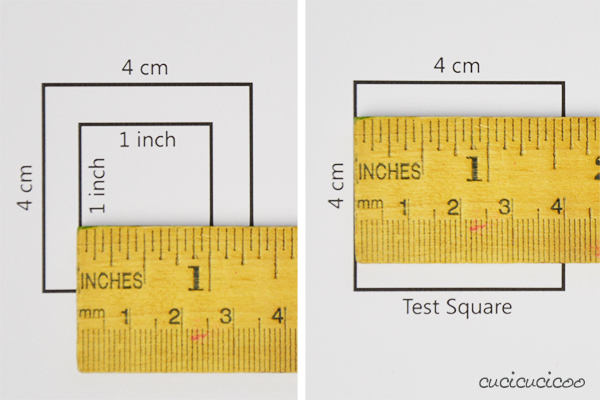 Do note that every designer may have different looking test squares, but they usually have both inches and centimeters. 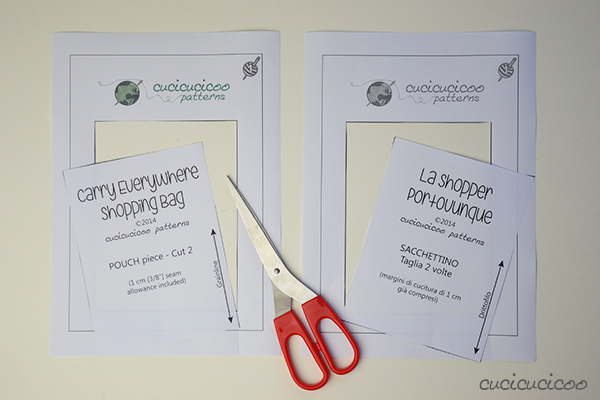 My patterns are available in both English and Italian, so here are both of my versions. To check the scale, just measure along one side of the square to make sure that it is indeed as long as indicated. 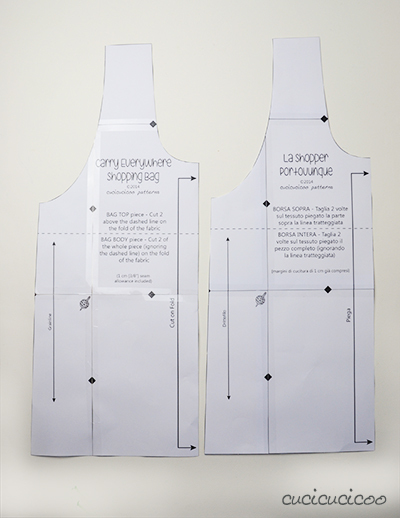 It’s generally a good idea, especially with patterns with many pages, to print just the page with the test square (which is usually the first page) to check the size, and only then continue printing the other pages. Once you’ve printed all the pages at the correct scale and if the pieces all fit onto one page, without any overlapping, just cut them out. And you’re done! Of course, most pattern pieces are too big to fit on just one page, so they need to be assembled. This is done by cutting along the margins and matching up little marks on the page edges. 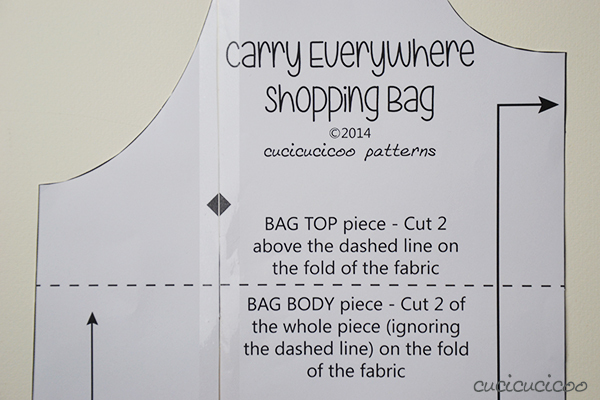 I’ll now show you how to do this on my Carry Everywhere Shopping Bag pattern, which you can get FOR FREE right here!! The pattern pieces are on six pages, so it’s not very big. (Some patterns have 40, 50 or more pages to assemble!) 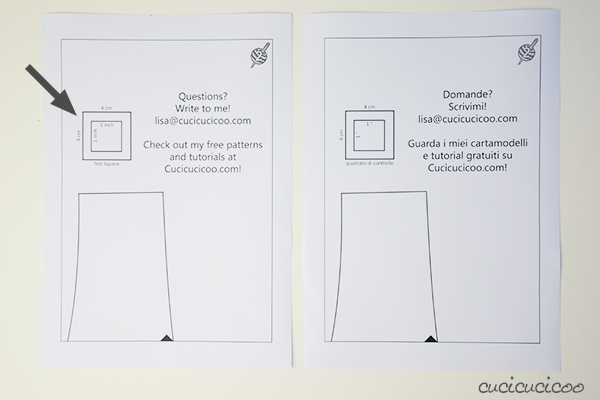 Like I said before, my patterns are available in either English or Italian, so you’ll see both in the following images. Start off the same way as described before: read the instructions, print the page with the test square without scaling, check the test square dimensions, then print the remaining pages. Here are all six pages printed once in each language. You may notice that I printed the English one in color, but for this pattern it really makes no difference in color or in grayscale. 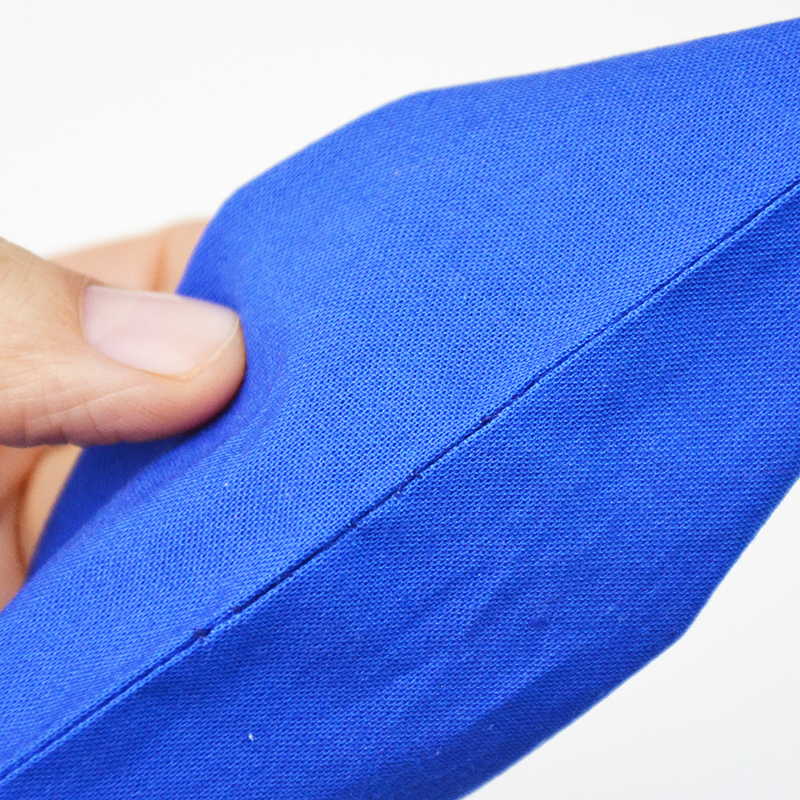 If you’ve read the instructions of this pattern, you’ll know that the piece on page one can be cut out as it is, without any assembling, just like we did with the potholder pattern earlier in this post. Once you’ve trimmed off the margins, look for the triangles on the page edges. 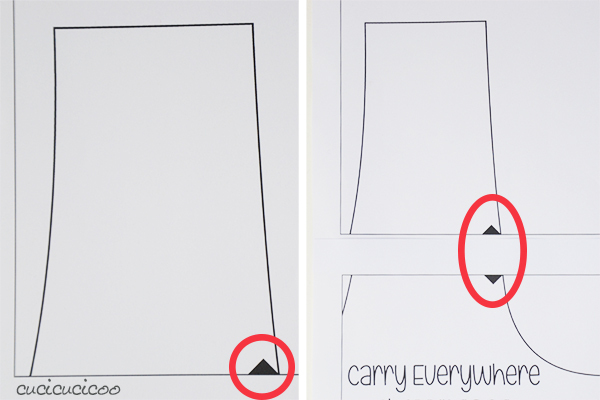 Match them up with the triangle on the adjacent page, as you can see in the picture above. Tape the pages together so that the triangles form diamonds and all other lines and markings line up. 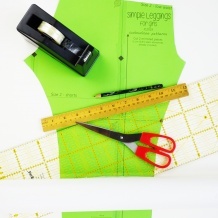 Then you cut out the pattern pieces. But hold on, because I want to give you some nifty time-saving tips! TIME SAVING TRICK #1! I always love cutting corners to save a little bit of time, so I’ll show you two ways to do a little less cutting. The first trick is to cut the margins off of only the pattern page sides with the triangles on them. Then when you assemble the pieces, first join together the vertical sides, thereby creating rows (as seen on the left), and then join the rows to create a whole big sheet (on the right). This makes it much easier to keep track of where each page goes and keeping everything nice and lined up. When the whole pattern is assembled, all triangles, lines and markings will line up. TIME SAVING TRICK #2! This is what I generally do when piecing together a PDF pattern because it saves the most time: cut the margins off of only the right and bottom sides with the triangles on them. You’ll see in the picture above that I’ve left the margins on the top and left sides intact. When piecing together the rows, the cut right edge of the left page overlaps the uncut left edge of the right page. Tape the pages together as usual. When piecing the rows to each other, the cut bottom edge of the top row overlaps the uncut top edge of the bottom row. And again, tape the pages together. 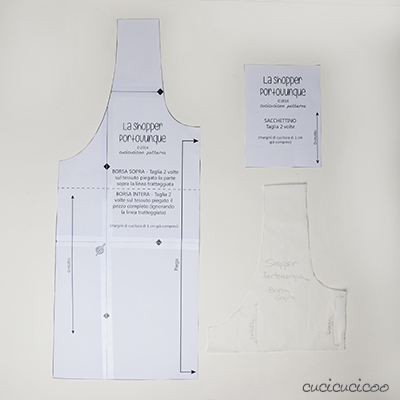 No matter how you pieced together the pattern pages, the final step is to cut out the pattern pieces along the lines as indicated in the pattern instructions. Yah! 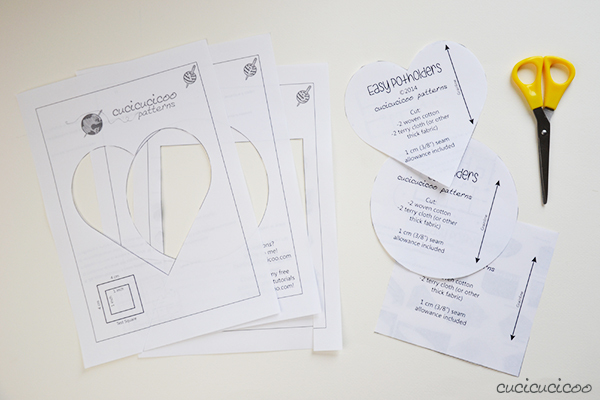 Some pattern instructions will include an image of the various pattern pieces to make sure that you have everything you need before cutting. 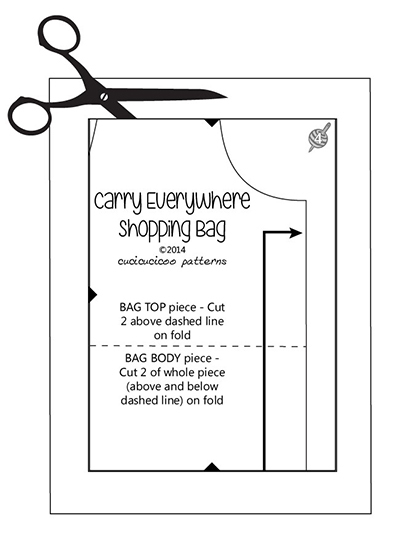 In the case of the Carry Everywhere Shopping Bag, there are only two pattern pieces to cut out, but you actually need a total of three pattern pieces. Upon reading the instructions, the sewer will see that the third piece is actually just the top portion of one of the other pieces. 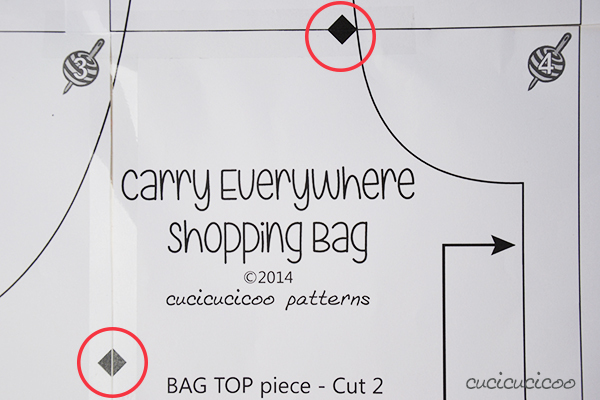 The dashed line shows where to cut off the “Bag Top” piece. So you can either print out those pages a second time, or simply trace the third piece with tracing paper. 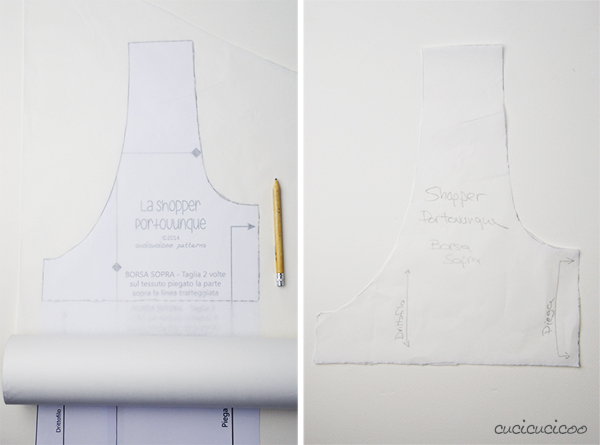 Just place any old tracing paper (I use this medical paper *) over the pattern, trace what you need, and cut it out! 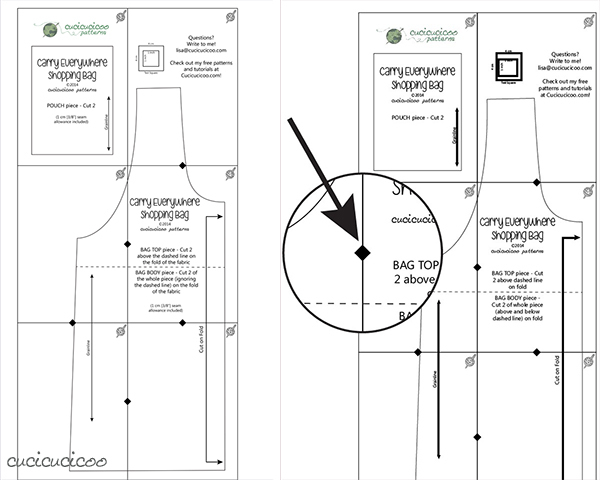 Don’t forget to copy the pattern name, pattern piece, grainline, fold marks or whatever other necessary information there is. It’s actually a good idea to get used to tracing patterns because if you have patterns with a gazillion different pieces and/or sizes overlapping each other, like on Burda patterns, you’ll need to trace them instead of cutting them out to avoid ruining them for future use. 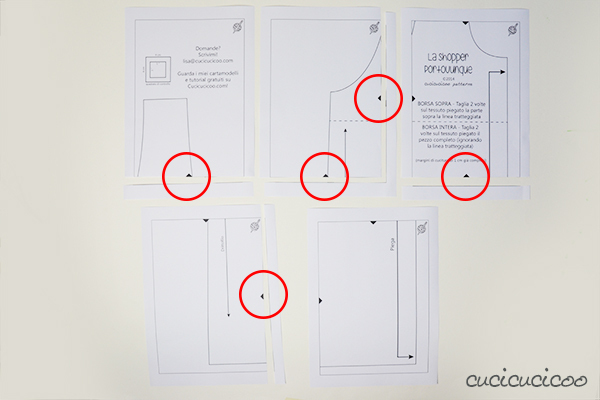 The most important thing to remember when printing PDF patterns is to always read the instructions. 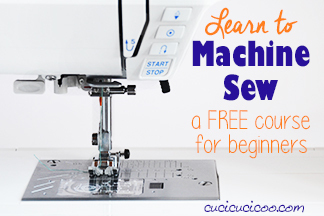 I know I’ve already said this, but it’s absolutely essential to sewing success. All patterns will have page numbers, but some will have additional numbers or letters to help figure out which pages to join together, others may have layers that you can choose to visualize or not, and yet others may have any other type of variation. So just read them and things will go smoothly afterwards! 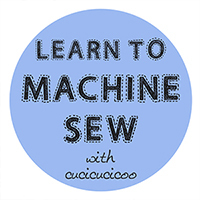 This lesson on how to print PDF patterns and piece them together is extra content of the beginner’s sewing course! 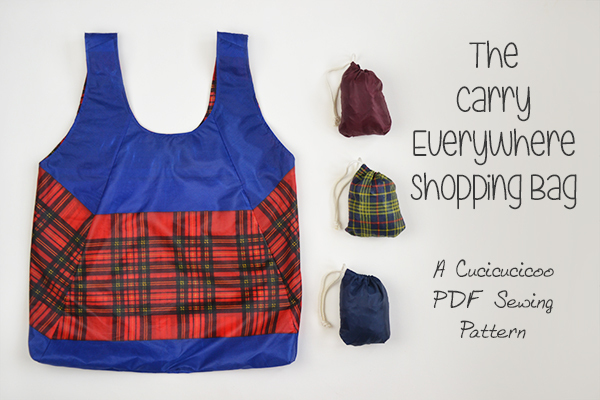 And if you want to practice printing and preparing PDF patterns, why not try out on my FREE Carry Everywhere Shopping Bag pattern?! 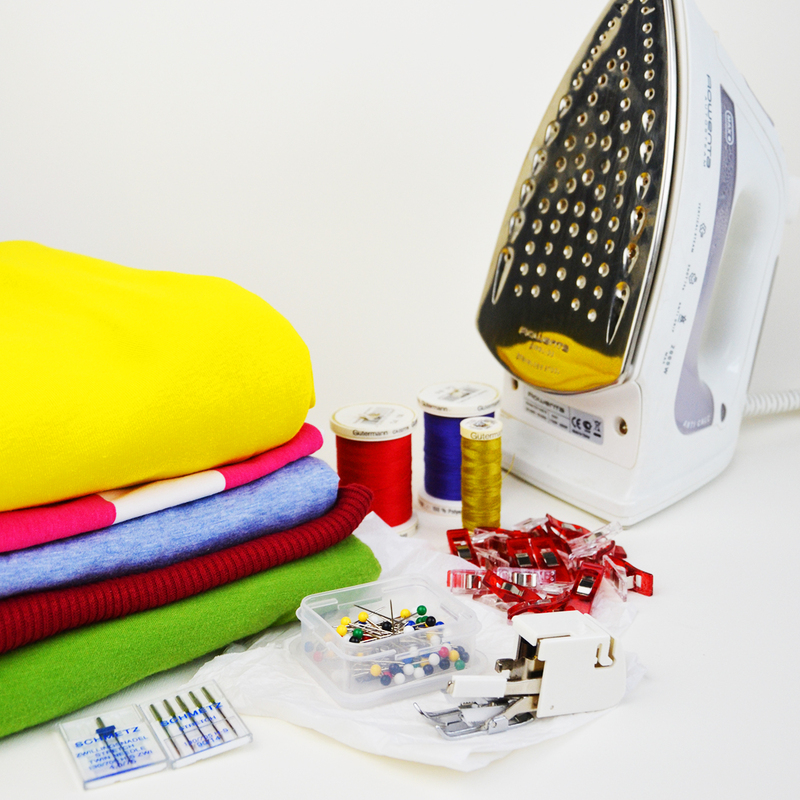 Previous articleSew a bathroom rug… from towels and sheets! Cartamodelli PDF? Sì, diamine! Ma immediatamente! Ho ancora gli incubi pensando alla mole di cartamodelli Burda acquistati dalle mie zie e impilati fino a diventare delle armi improprie da finire sulle teste dei nipotini (tra cui io!). Poi, ovviamente, in un pacco di cartamodelli i modelli fatti quanti erano? 2. (e andiamo…). L’assemblaggio è facile e intuitivo e il fatto che tu abbia creato più livelli vuol dire: stampo solo ciò che mi serve ADESSO, il resto lo stampo dopo. Meno sprechi e meno spazio occupato inutilmente. Non ti meriti un pollice in su, meriti TUTTI i pollici possibili e immaginabili. Confesso di non aver mai cucito da un cartamodello Burda, ma solo a guardarli, con tutti quei pezzi sovrapposti, mi fa venire un’ansia! Sì, hai ragione: quando si stampa solo ciò che ti serve, c’è anche meno confusione! Oramai, preferisco assolutamente i cartamodelli PDF! 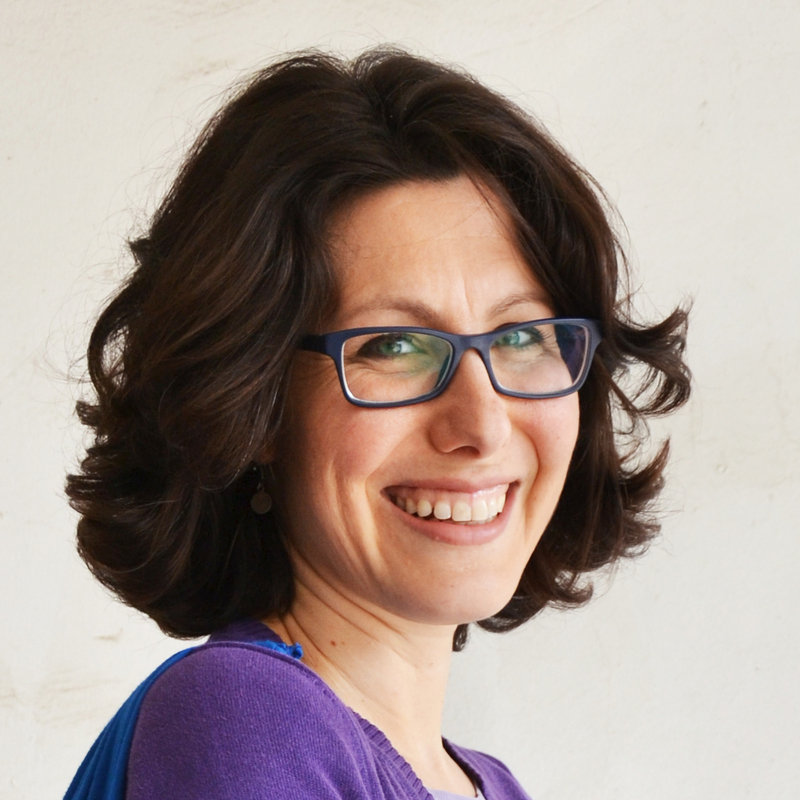 🙂 Grazie, Alessandra! Non ho mai acquistato online cartamodelli per l paura di non riuscire ad assemblarli nel modo corretto!! allora aspetterò la prossima settimana!! 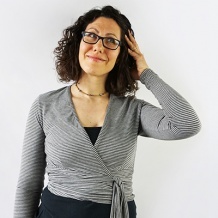 Ciao Pina, Non c’è bisogno di andare ad una copisteria perché il file è formatato per essere stampato sulla carta A4 a casa! 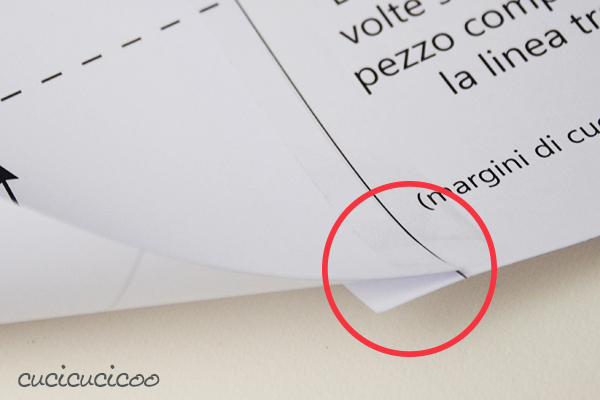 (O formato “lettera” degli Stati Uniti) Come spiegato in questo post, bisogna controllare che le dimensioni del quadrato di controllo siano giuste. Non ho capito di quali applicazioni parli, scusami. 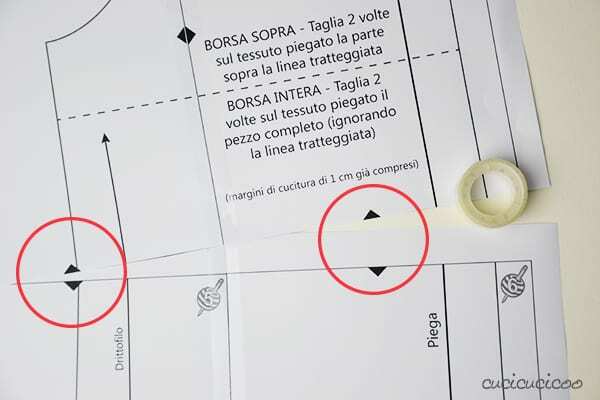 Il cartamodello viene tagliato sulle linee indicate dalle istruzioni di quel progetto ed è spesso indicato anche sui pezzi del cartamodello. 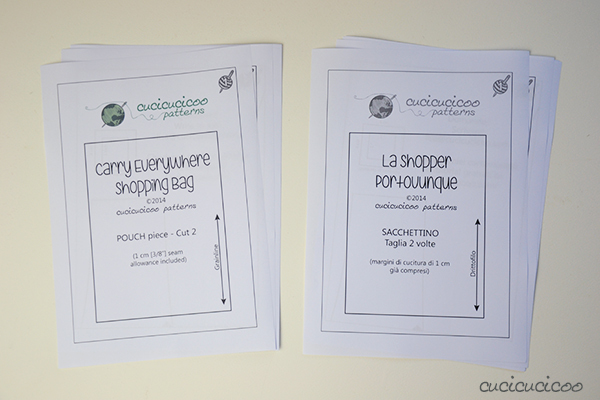 Ad esempio su quello della shopper, c’è scritto che il margine di cucitura di 1 cm è già compreso. Ciao! io vorrei sapere se ci sono dei tutorial per realizzare borse in feltro di varia grandezza!